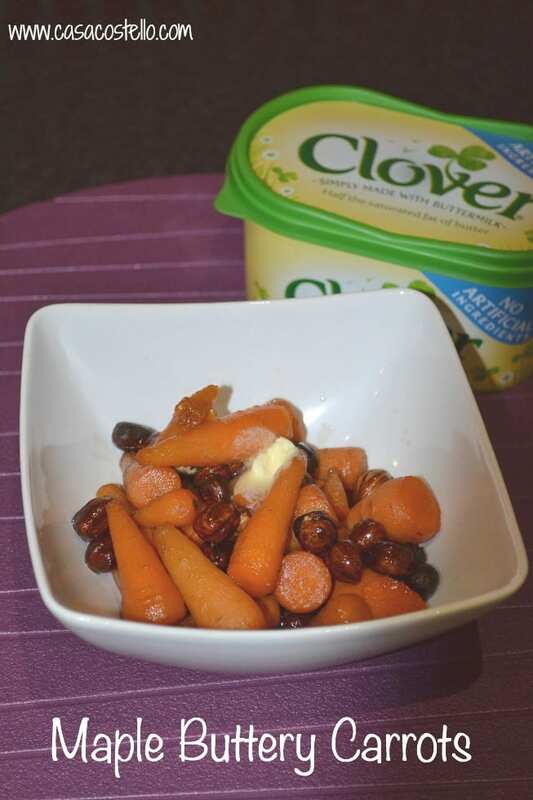 A super easy recipe for you this evening – I love experimenting with veg dishes and this is one of our favourites – Maple Buttery Carrots with Hazelnuts. The cuteness factor increases by using Chantenay Carrots but obviously how ever you like your carrots is just fine. 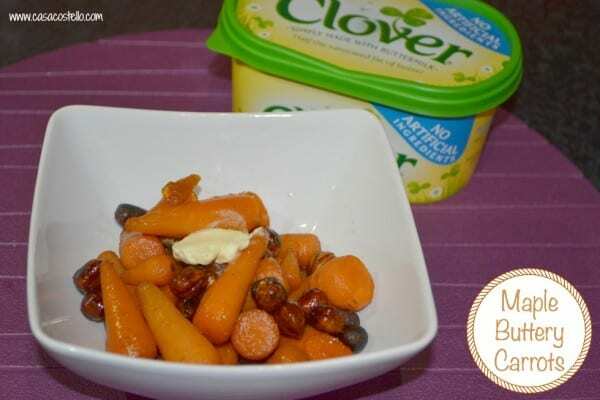 Sweet syrupy carrots with the crunch of roasted hazelnuts - Making veg more inspiring! I have a tonne of maple syrup following my recent trip to Canada and I do love carrots, so bookmarking this one to try before Christmas!